This letter is being sent to you on behalf of the Qatar Awareness Campaign Coalition. The purpose is to inform you and the public of the activities of Qatar, the country which owns Al Jazeera America, the network which was established following your sale of CurrentTV to Al Jazeera for $500 million in 2013. As cited below, in fact, you and your business partner, Mr. Joel Hyatt, engaged in two major transactions with Qatar: first the purchase of Newsworld International in 2004, from which you launched CurrentTV; secondly, the selling back of the station to Qatar to broadcast Al Jazeera America, for the price of $500 million. We urge to you read the information below, which includes evidence that Qatar is arguably the preeminent sponsor of terror in the world today. It is a benefactor of the genocidal armies of ISIS, al Qaeda, and Boko Haram; it is involved in Taliban narcotics trafficking through a relationship with the Pakistani National Logistics Cell; and profits from operating a virtual slave state. Qatar is involved in terror operations from Nigeria to Gaza to Syria to Iraq. Here is pertinent background on your involvement with the Doha-based network, and their ties to Islamists who promote mass murder of religious and ethnic minorities over the airwaves. In 1996, then Emir of Qatar, Hamad bin Khalifa Al Thani, provided a $137 million loan to start Al Jazeera. Hamad bin Khalifa Al Thani was the ruling monarch of Qatar from 1995-2013. Al Jazeera is home to the Muslim Brotherhood’s spiritual leader Yusuf al-Qaradawi, who reaches an estimated 80 million viewers each week. Qaradawi has ordered the killing of Jews, and Shiite Muslims in Syria. In 2004, you and your partner Joel Hyatt (who is a Trustee of the Qatar-financed Brookings Institute) purchased Newsworld International from Vivendi Universal Entertainment to establish CurrentTV. Vivendi was (and is) partially owned by Qatar Holding. In 2013, CurrentTV was sold to Al Jazeera for a reported $500 million. Owning 20% of the company, you reportedly profited personally $100 million from the sale. In September 2014, you and Hyatt sued Al Jazeera for funds that remained in escrow. Al Jazeera has now filed a countersuit. Your lawsuits notwithstanding, in light of Al Jazeera’s consistent and vocal support for the Muslim Brotherhood and various jihadi groups, we ask that you consider the attached sourced report on Qatar’s activities. The links cited are vetted and credible sources. We hope you take the time to verify the truth of the statements for yourself. 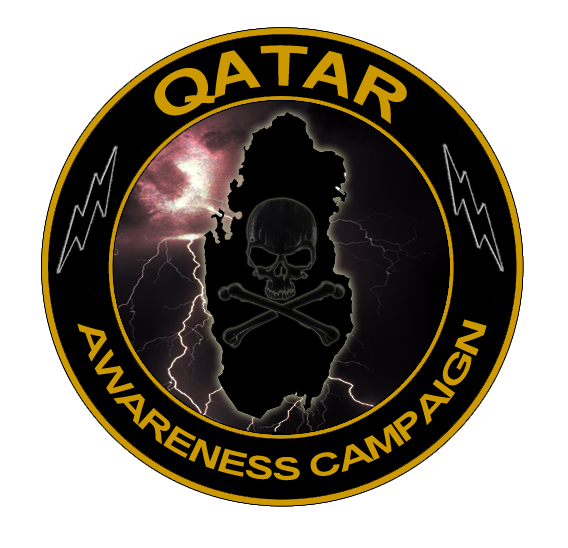 ** & the entire Qatar Awareness Campaign Coalition.